Let's build Cologne's first gaming & eSports bar! 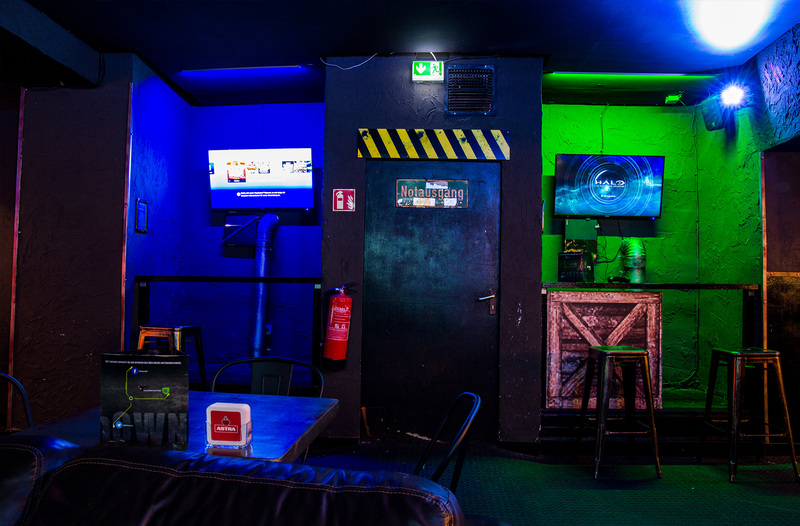 Thanks to you and your dedicated support we were able to finish the project and opened Cologne´s first gaming and esport bar. It was an intense time full of work but we did it together. You helped more than we could´ve ever imagined. 1000x thanks and best wishes to you, our supporters. 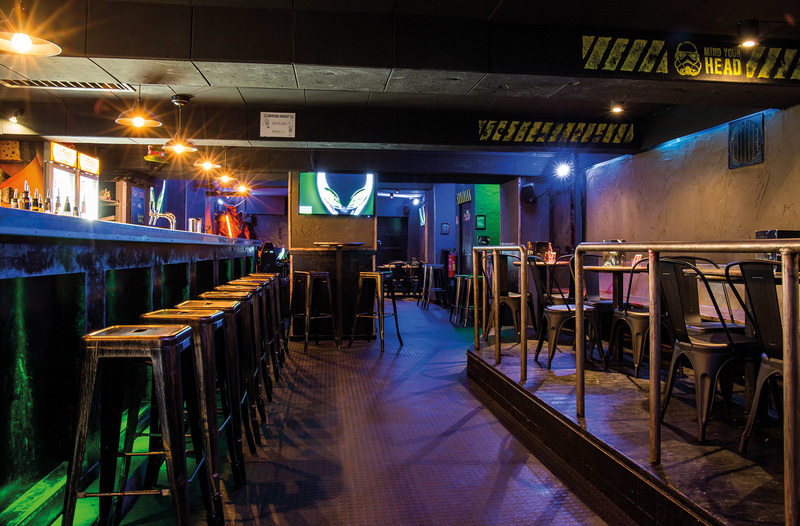 The Meltdown offers several PCs and consoles for playing and a well-equipped bar with a wide variety of alcoholic and non-alcoholic drinks. Eight large-screen TVs show streams and other gaming footage in every corner of the venue. 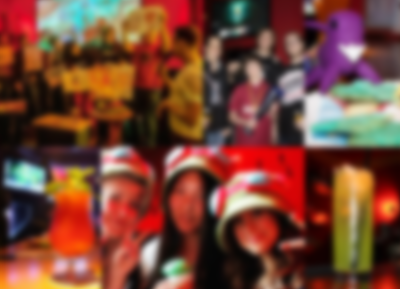 And of course we host a lot of parties and tournaments for you. 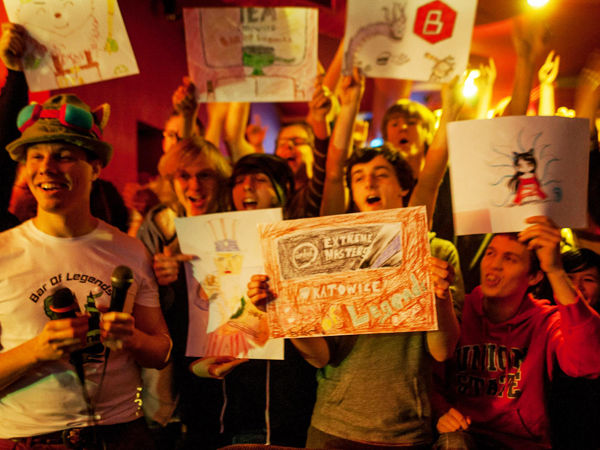 Since March 2012 we've been organizing Barcrafts, Bar of Legends, Pubstomps and more for several games. We hosted on- and offline tournaments, presented eSports to newcomers in the Cologne public library and held gamescom parties with over 200 visitors. We love gaming, we live eSports and we've always been striving for more - but due to the "hobby" nature of our events, our time and resources have always been limited. 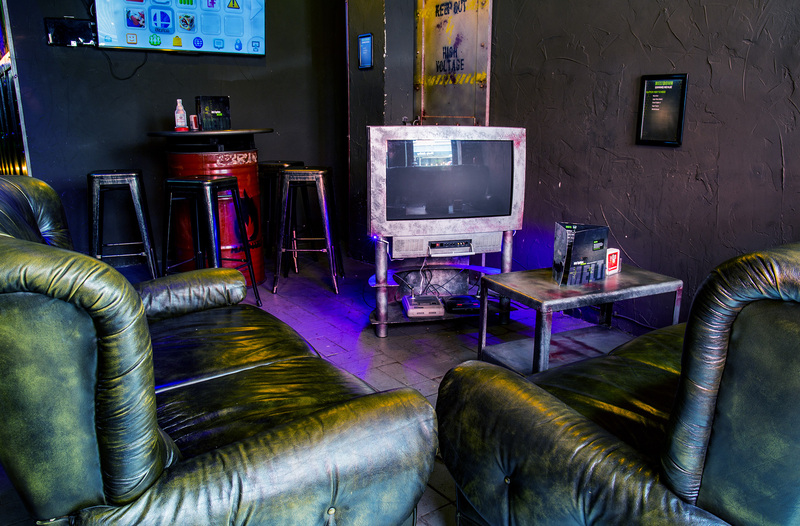 We want gaming and eSports to grow - from a side event in a rented bar into something unique. That's why we want to open up our own dedicated gaming & esports bar in Cologne! A place where gamers, cosplayers and the hardest tabletop-tradingcard-anime-scifi-LARP-comic-nerds feel at home and can share their passion with others. Everyone can do free hugs! You can claim a sincere, several seconds long premium hug from me next time we meet because I’m really thankful for your support! A unique “supporter” tshirt that will never be for sale and only available for this occasion. Here´s how it looks. Secret material we gathered over the last year. Take a look at other locations we visited, our campaign plans or the scripts for our video. Special extra: Witness dozens of outtakes from the video-shooting, including +7 minutes of Andy in a Pikachu Kigurumi. You’ll be invited into a special whatsapp group with regular, instant updates in form of text messages, photos and videos documenting all the way until our grand opening. A little community within the community. We call it: Communityception. Your name engraved on the back of a chair. It won't be your chair by right and you won't have any claim on it but you can tell people "that's my chair you're sitting on!" Your name will be on a “big spenders” plate that we'll place in the bar. 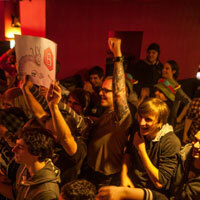 Become an integral part of Cologne's eSports history. Does NOT include the 125 € goal (your name engraved on a chair). Get a free Kölsch on every visit during our first year! Get a free Kölsch on every visit. For the first three years! + all cheaper perks but without the 300 € goal. You won't get 2 beers for free! You'll get one free drink on every visit. For the first three years! 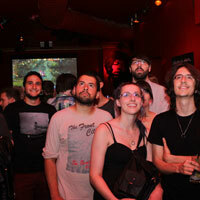 We’ll organise an event for your favourite game. You'll be included into the plans & drink for free. most are only available once! Our Worldwide unique cookie cutters we used for the cookies at our christmas parties. Made by and only for us. Never were for sale, never will be! Choose out of three sets: StarCraft, League of Legends and or Hearthstone. Does not include any other perks! Here´s how they look. 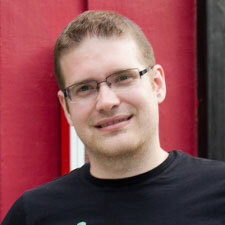 Get a coaching by mouz.HeRoMaRinE, one of the best terran foreigners, regular GM with Protoss and Zerg and a friend of the BarCraft Cologne. Does not include any other perks! Official "BARCRAFT" Posters (WoL & HotS) from Blizzard, coming in black wooden frames (IKEA RIBBA). Have never been for sale, will never be for sale! Does not include any other perks! Here´s how they look. You will be designed in 8-bit and become an achievement on our teamspeak server + all normal cheaper perks. I'll wear a shirt with your face on it during our opening party (or any day you prefer). If we reach the 20k goal (I'll cosplay) we'll either include your face into the cosplay or you get your money back. Does not include any other perks! Complete set of 2013 WCS cards. All 40 cards included. The following cards are signed: Alicia, First, Grubby, MC, Naniwa, Oz, Rain, StarDust, Welmu, ForGG, MMA, Polt, etc. Does not include any other perks! In march starts the organization of the first BarCraft. 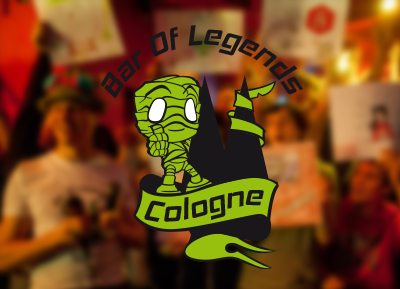 At the end of the year, 5 events have happened and in December, the plans for the first Bar of Legends are finalized. In 2013, we added LoL and DOTA2 events to the list. 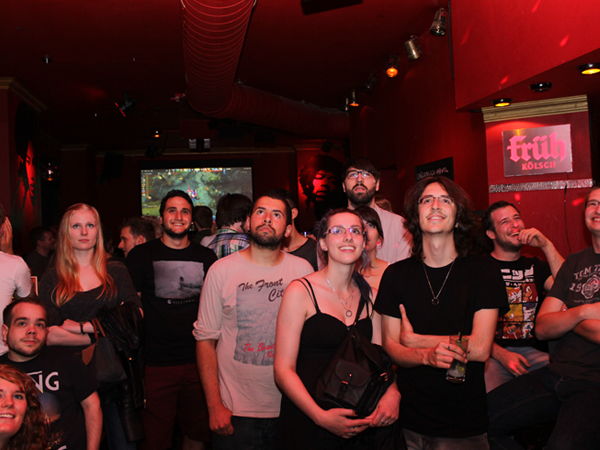 Additionally, we held our first gamescom parties with hundreds of nerds from dozens of countries. Hearthstone and Counter-Strike: Global Offensive join the elite list of games to be shown/played at out events. 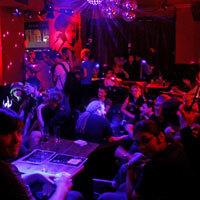 The gamescom parties blow everything out of proportion - our regular bar is getting too small! 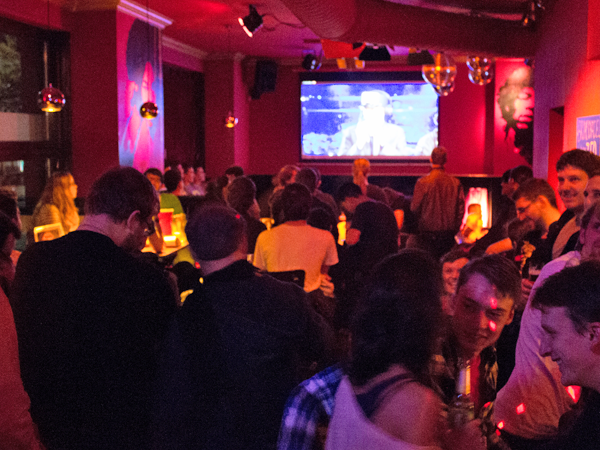 For 2015, we're planning the biggest gamescom ever: 4 parties on 3 days in 2 bars. We want to open our bar until the end of the year - but we'll need your help! Started the Barcrafts back in 03/2012, does lots of different jobs online & offline. 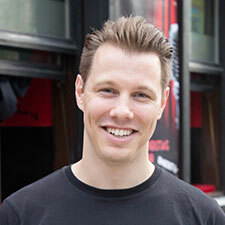 Joined us in late 2013 and mainly works on-site, talking to people and gathering feedback. Joined the crew in Nov 2013. Started with photography but now also works a lot in preparation and social media. Joined the Barcraft immediately as the go-to-guy when it comes to graphics. Created all logos, banners, most cocktail cards and all kinds of different things over the years. 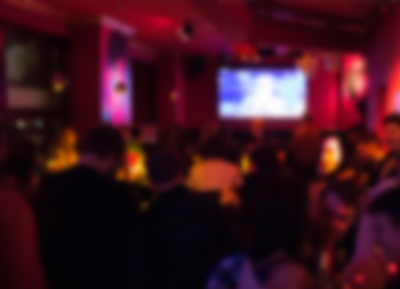 The plans for "Bar of Legends" events started in December 2012. Our first event for the following IEM Katowice was featured live on stream - and seen by almost 250k people online. To this day we hosted 13 Bar of Legends events and 4 LoL-Parties during gamescom - some of them with over 200 visitors. 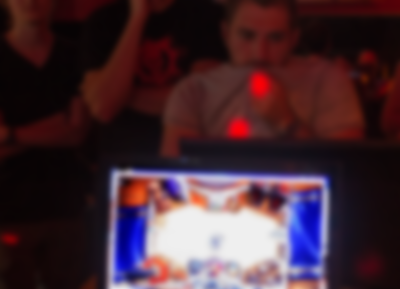 LoL is going strong and in the future we also want to host tournaments in our own bar on a regular basis. 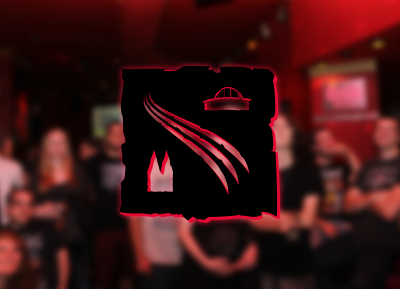 Our first DOTA2 Pubstomp happened in April 2013 for EMS One. Since then we covered every TI but other events were a little problematic due to dotas chaotic tournament structure which makes planning with bars much more difficult. 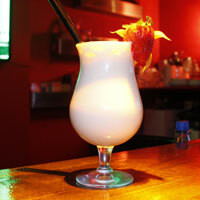 A problem we want to eliminate by having our own bar: a place where time constraints become a thing of the past! 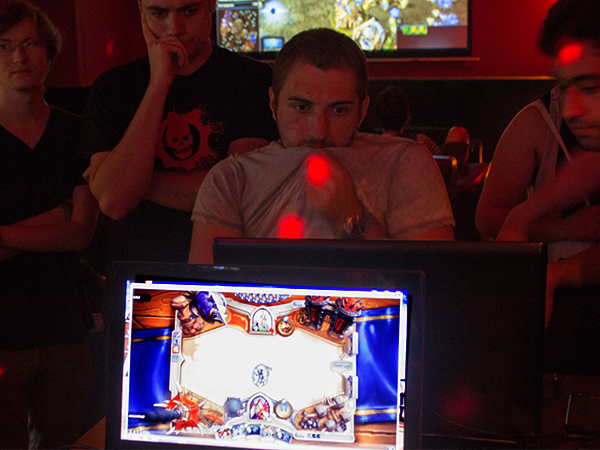 In June 2014 we started doing Barstones - Hearthstone tournaments organized in a bar. 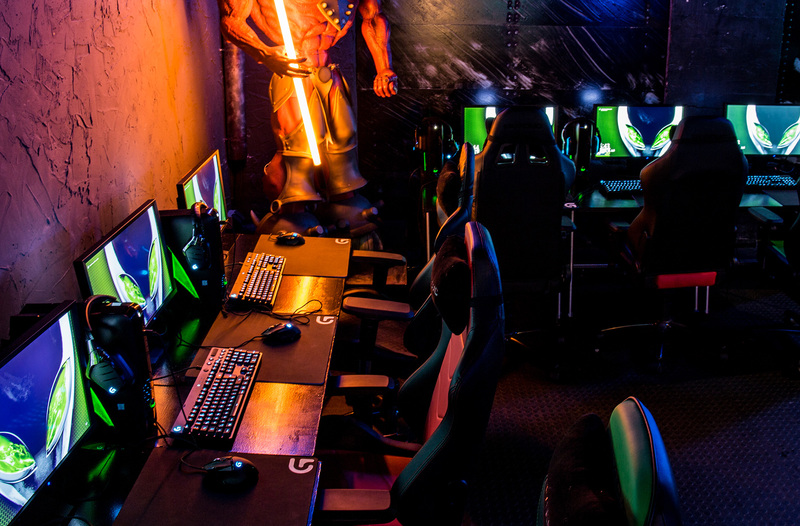 Our own esports bar would simplify their organisation immensely and enable us to improve them a lot: fixed PCs for playing, a well-prepared tournament signup system, spectating finals on the big screen and prizes for the winners would be no problem. We did one CS:GO event so far - and we would've done more. We already planned - and then we spoke with our regular event-bar. 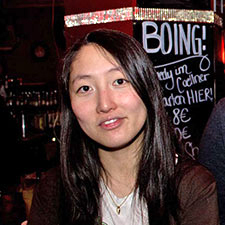 After our last (and first) event, there were actually regular customers complaining at our bar, why they were showing games involving murder (aka the famous "killerspiele" debate). Long story short: no more CS-events in this bar. 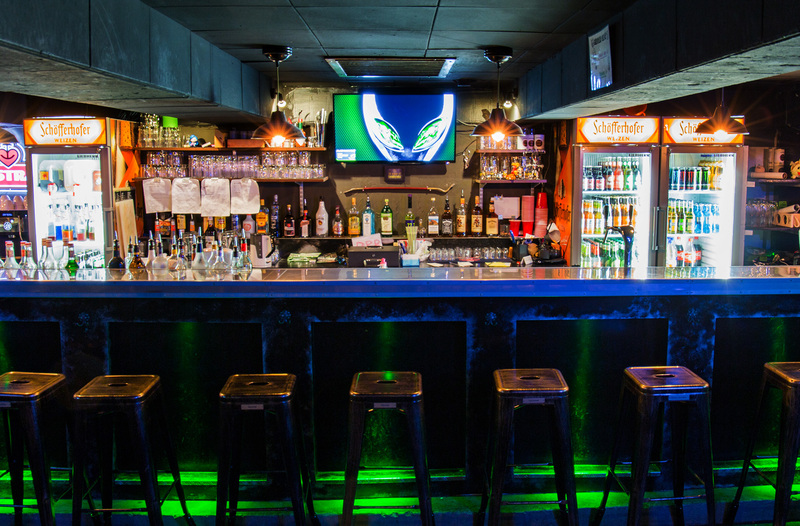 Nothing illustrates the need of a dedicated esports/gaming bar more than this. At our events, we always set great value upon the little details: we drew images on the chalk boards in front of the bar, printed customized toilet doors (e.g. Male/Female Champions) or baked League-, Starcraft- & Hearthstone-Cookies for our christmas parties. We organized offline and online community tournaments or helped organizing a camping weekend by & for LoL players. Especially the vast variety of gaming-themed cocktails we created prove our understanding and passion and got lots of praise on the internet (and our events). 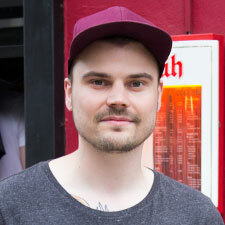 Die bereitgestellten Informationen auf dieser Website wurden sorgfältig geprüft und werden regelmäßig aktualisiert. Jedoch kann keine Garantie dafür übernommen werden, dass alle Angaben zu jeder Zeit vollständig, richtig und in letzter Aktualität dargestellt sind. Dies gilt insbesondere für alle Verbindungen (“Links”) zu anderen Websites, auf die direkt oder indirekt verwiesen wird. Alle Angaben können ohne vorherige Ankündigung geändert, entfernt oder ergänzt werden. Wir können trotz sorgfältiger Recherche für den Inhalt externer Seiten, auf die wir direkt oder indirekt verweisen, nicht zu aller Zeit die Korrektheit garantieren. Wir distanzieren uns daher hiermit grundsätzlich von allen Inhalten externer Seiten.